Twilight 2000/ Post Apocalypse Soldiers. Growing up, as I did, at the tail end of the Cold War one of RPGs that really drew me in was Twilight 2000; a game that I’m sure most of you are familiar with too. I never played many games of it: the combination of modern weaponary and 19th century medical care meant that and wounded characters didn’t last that long… I keep thinking of returning to it but as a battling warlord skirmish campaign type thing rather than a straight RPG. Nonetheless in the meantime I keep collecting bits for it as and when, in fact my earliest modern figures started of being collected for Twilight 2000. Elhiem Figures have released a very nice set of mounted (ex)soldiers suitable for the game. Even better, due to the modular design of the figures you can have the same figure mounted and dismounted. To give them a ragtag look I mixed in bits on non- camouflaged clothing. They have a nice mix of weaponary too. I think it would be worth making them up as a special group of NPCs for the player characters to encounter if you were running a campaign. First up with have a guy in a black T-shirt carrying a shotgun. Next we have a guy in the earlier M1 helmet talking on the radio. Man waving pistol about- there is a slung rifle on his horse. One man carrying M16 and binoculars- probably my favourite one. Bareheaded with an M16.M203 combination. Floppy bush hat with an M249 Minimi Squad Automatic Weapon. The horses have the legs of the riders suclpted on them- the torso fits in with a plug, a sperate set of legs are available for the dismounted figures so you can mix and match until you are happy with poses. It is nice to have this much flexibility when putting together the minis. If some more were to be released but with Soviet/ Russian weaponary I’d be very happy as they’d complement this set immensely. 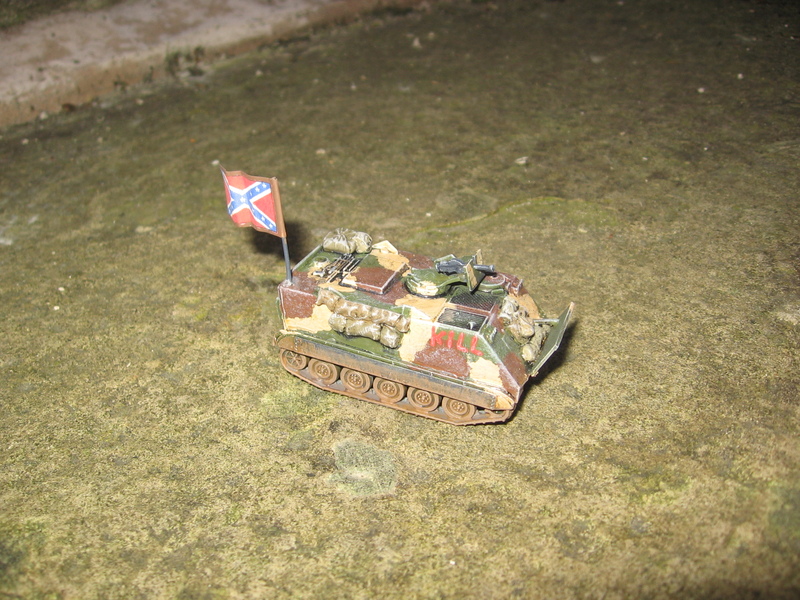 As promised some photos of toys : WW2, ‘Nam and Moderns. 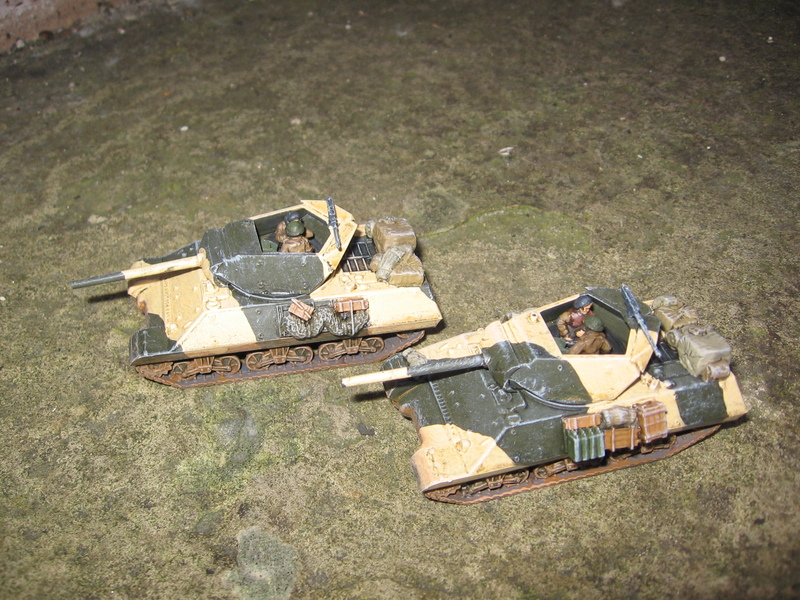 A brace of Armourfast M10s with S and S stowage and Battlefield crews- painted up for the Med theatre. 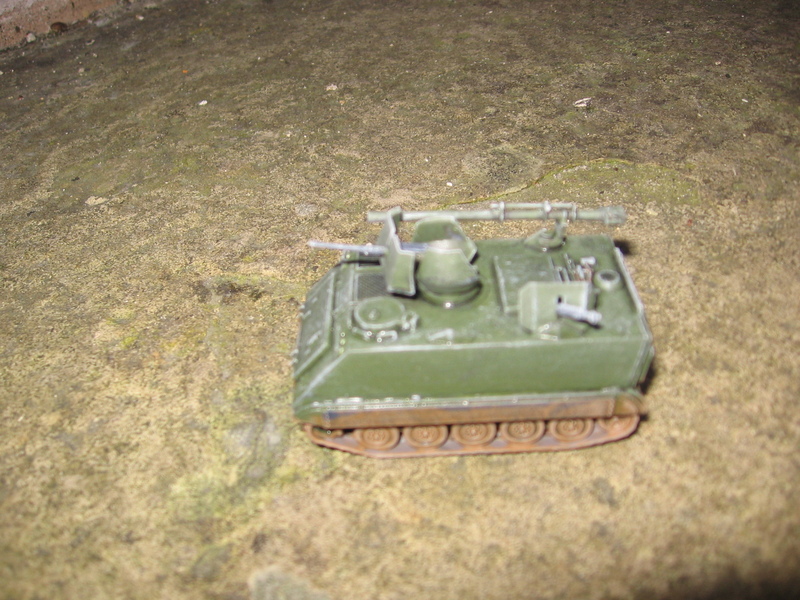 M24 Chaffe- the venerable Matchbox kit as reissued by Revell. 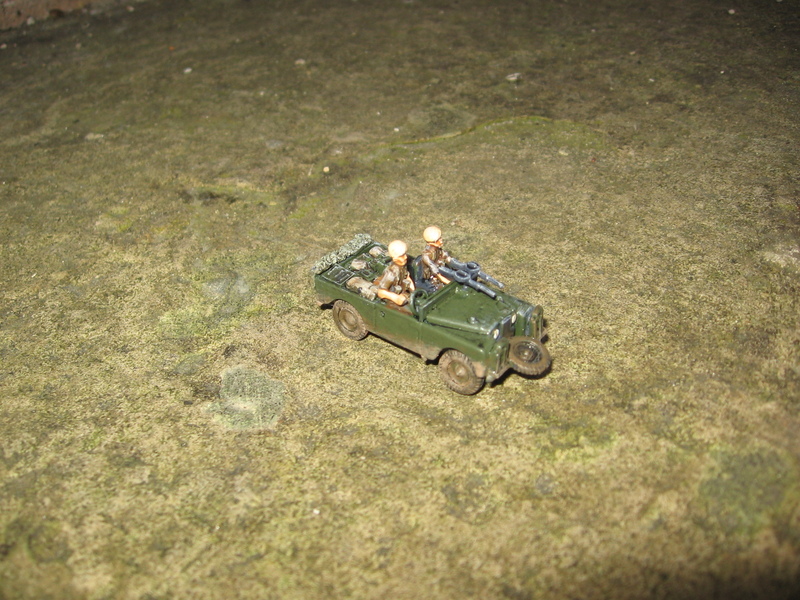 A 1950s SAS Landrover, an Oxford diecast with S and S detailing parts. 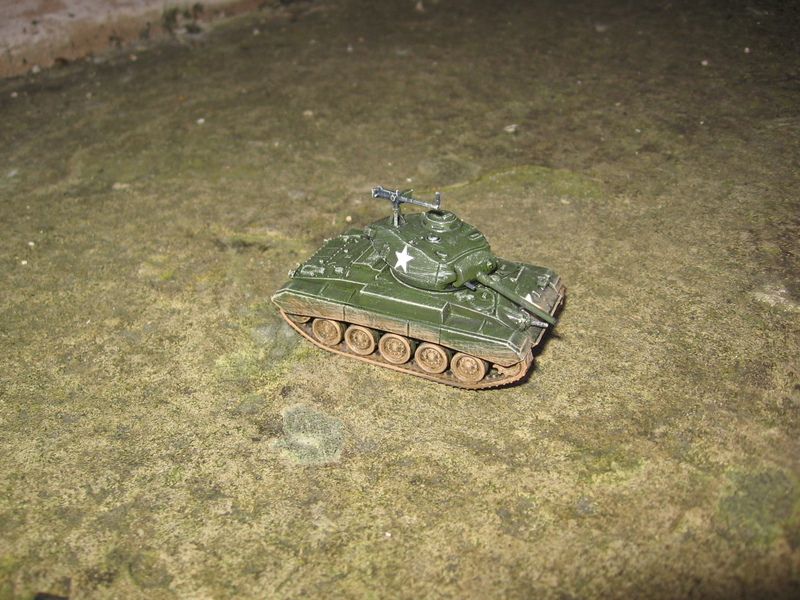 The JB/ Airfix M113 upgraded with an MJ Figures recoilless rifle. Another M113 this time with an S and S auto Grenade Launcher and finished in a SF paint scheme for that Twilight 2000 game I’ll run someday. 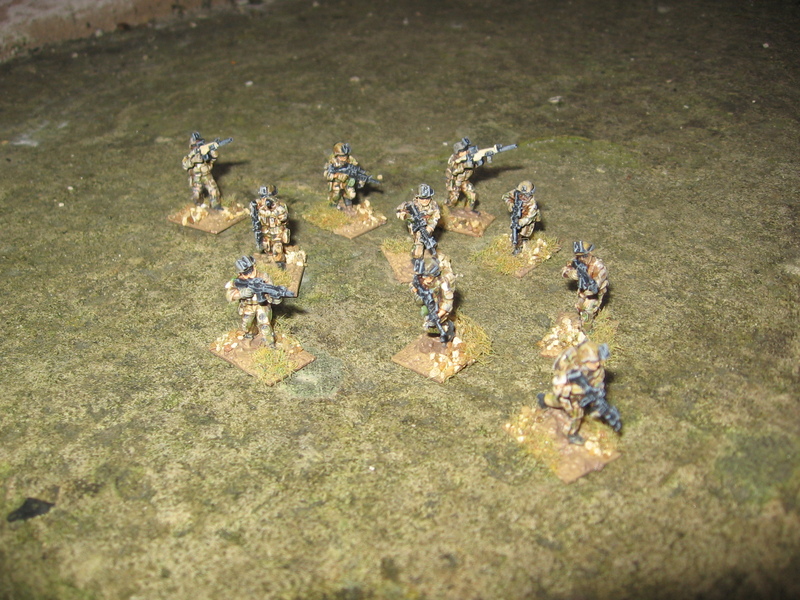 Finally bringing things up to the present day I finished off 12 Elhiem US Rangers in the new Multicam armed with loads of hi tech kit.